Imagine this scenario – it’s Christmas, you’re recently divorced, and your former spouse shows up to take the children for the holiday. You argue, in front of the children – which is never a good thing to do at any time of the year – that you already have plans for the kids and that those plans don’t include your former spouse. Your ex-spouse leaves in a huff, the children are upset, you’re upset, and the feelings linger for most of the holiday. Another household has a similar scenario, except that instead of giving in, the non-custodial parent tries to find a judge who is available to hear the case that day. There are no judges available on Christmas, but the courts will be flooded with applications on the following business day by parents who believe they were unfairly deprived of time with their children. As a result, the custodial parent will soon be back in court. How can you avoid these scenarios? The best answer is to plan ahead and to get your holiday schedule squared away in advance. Visitation in Tennessee is referred to as “parenting time” or “residential time.” The word “visitation” is not a legal term but signifies what the average person understands to be his or her rights to be with the children following a divorce. Courts now require use of a permanent parenting plan when there are children involved. It is not sufficient for the parenting plan to contain a general clause such as “visitation as the parties shall agree” or “reasonable visitation” – the parenting plan must actually spell out the exact terms of parenting time for each parent. 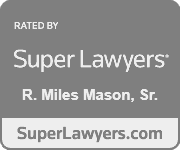 Your family lawyer can help you prepare the parenting plan form. The goal is to get the best plan for your children while trying to protect your own rights as much as possible. The courts, however, are more concerned with what is in the best interests of the children. Why do the courts require a parenting plan and why is it a good idea? Under Tennessee law, each parent is generally entitled to enjoy the maximum participation in their children’s lives so long as it is in the children’s best interest and there are no other factors present such as domestic violence or orders of protection. Other than on school nights, one goal of this law is to try to allow for equal parenting time. In some cases the best interests of the children will not permit equal parenting time, but many cases will indeed permit parenting time which is roughly equal as practicable to the other parent’s time other than school nights. It is crucial for parents to spell out their parenting time to prevent the scenarios which are listed above. While it’s bad enough for former spouses to fight about their parenting time, the children feel it even more. Open-ended or unscheduled parenting time hurts them and has the potential to ruin everyone’s plans. This is especially so with holiday parenting time. If the holiday parenting time is spelled out, there will be no second-guessing who has the children on any particular day. What do the courts require in a parenting plan? The courts actually have a form for a parenting plan and it is referred to as a Permanent Parenting Plan Order. If the plan is acceptable to each parent, judges will often incorporate the parenting plan in the Final Decree of Divorce. 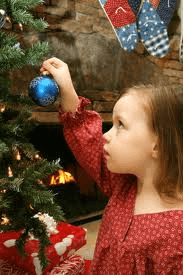 While the parenting plan lists the most important holidays in the form, with the parents often alternating years for each holiday, it is noteworthy that the Christmas holiday or winter vacation is listed as a separate entry. This particular holiday time is so important and one of the most litigated issues of parenting time that it deserves its own paragraph. In the form, parents are allowed to choose when they will have the children during the holidays. Many times, divorcing parents may choose to split the holidays so that one parent has the children for Christmas Eve until Christmas morning, and the other parent picks up the children midday on Christmas. Another possible division of the holiday is for one parent to have Christmas Eve and Christmas Day one year while the other parent has both holidays the following year. Still another possibility is to split the week of winter vacation in a way that will benefit the children and will be logistically sound for the parents. Is there anything such as an ideal parenting plan for the holidays? No matter how the holidays are split, whether it’s Christmas, Chanukah or Kwanzaa, it’s unlikely that everyone is going to be one-hundred percent happy. What works for one family may not work for another. There’s no easy answer for splitting the holiday time. Whether you have to do drop-off or pick-up on Christmas Day or wait until the following year to be with your children on the holiday, there is no solution that works for everyone. There could also be a parenting plan which provides that one parent get parenting time with the children for both Christmas Eve and Christmas Day while the other parent gets the children for the rest of the winter vacation including the New Year’s holiday. However it is arranged, the idea is to get the holiday parenting schedule in writing so everyone knows who the children are supposed to be with at any given time. The key here is compromise. Holiday time following a divorce may be difficult enough; it’s more difficult when trying to negotiate with a difficult ex-spouse on the spot. It’s better to be prepared and arrange for the schedule in advance, even if it’s not an ideal arrangement. The parenting plan will avoid many confrontations between you and your ex-spouse over where the children will be. What can parents and children expect during the holidays the first year after the divorce? 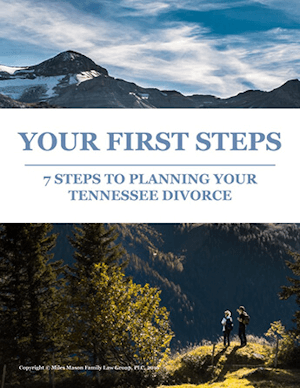 The first year after a divorce is usually a difficult time for everyone. The children may refuse to go with the other parent. It’s a difficult time for you if you are without your children for the first time. Likewise, it’s equally difficult for your ex-spouse if he or she is without the children for the first time. Pick-ups and drop-offs could be a source of friction. You may want to have someone else present during pick-ups and drop-offs during this time to alleviate any source of tension. Getting through the holidays after your divorce is stressful. The following is a list of tips to help you and your children enjoy the holidays even though the holidays will not be the same as before the divorce. Prepare for resistant children who will not want to go with the other parent. Now that the parenting plan is in effect, you will have to ensure that the children get into the other parent’s car even if they cry and beg that they don’t want to go. Assure the children that they will have a wonderful time and that you have exciting things planned for them when they come back. This way they will not feel like they’re missing out on something with you. Give the children something of yours so they feel a connection to you if they’re with the other parent during the holidays. It could be something like your scarf, a handkerchief, or better yet, a photo of you. Also, request the other parent provide you with nicely framed photos of the other parent for display in your children’s rooms in your home. Try to discuss gift-giving with your ex-spouse. The “one-upping” in gift-giving is disastrous to children and to parents because the children get more than they should and you will feel as if you always have to compete. Keep the gifts simple if possible. If the children are used to getting big gifts, perhaps the children can get two smaller gifts that will make them smile just as much as before. Try to keep old traditions in place. If that isn’t possible because of the new schedule, come up with new traditions, such as opening presents under the tree on another day, or lighting Chanukah candles on a different night. If you had certain foods associated with the holiday and you won’t be with the children, why not have those foods ready for the children when they get back? Try to use the holidays to teach valuable lessons to the children, such as giving to people who are less fortunate. It may divert their attention from their own situation. Let the children feel like they’re involved in the holiday and not that everything is pre-planned. Give them some tasks to make them feel like their input is important. Let them come up with some ideas or themes for celebrating. Explain to the children that they now get to celebrate the holiday twice if that’s what the parenting plan provides. Do not bad-mouth your ex-spouse. Well-adjusted children have two loving parents, even if the parents are not together. The children will not love you any less if they still love the other parent. Allow the children to contact the other parent by phone, text or e-mail. If the other parent is doing a masterful job of bad-mouthing you, you may want to discuss this with your family lawyer. Be available for your children. They are going through a difficult time. Make sure you let them know you understand and that you are there for them. Let them tell you how they feel if they want to and be sure to listen. If you are without the children for the holiday, make sure you have alternate plans. Be with family, friends or both. Don’t be alone if at all possible, unless you really want the time to yourself. If so, enjoy it! Go to a movie or a concert. Read. Listen to music. Enjoy a long walk or a quiet bath. With the right frame of mind, both you and your children will enjoy the holidays and look forward to celebrating them again next year. Recently, Miles Mason, Sr. was interviewed on WREG News Channel 3’s Live at 9 disucssing parenting through the holidays. 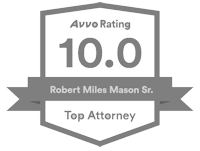 Memphis divorce attorney, Miles Mason, Sr., JD, CPA, practices family law exclusively and is founder of the Miles Mason Family Law Group, PLC. Miles is the author of Tennessee Parenting Plans and Child Support Worksheets: Building a Constructive Future for Your Family.